While there are a good handful of a capella groups on campus, one of Wooster’s most recent additions will be expanding their reach beyond live performance. 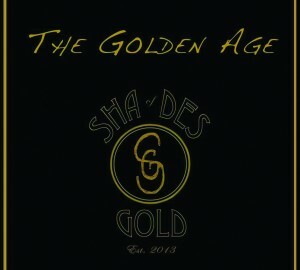 Shades of Gold, founded by Nariah Francis ’16 during her first year at the College, will be releasing a single and album in the coming months. The single, entitled “Diamonds,” was released yesterday and the album is scheduled to be released early next fall. The single can be accessed through various digital programs like iTunes or Spotify. Daniel Carter ’17 is the treasurer of Shades of Gold and has been responsible for “putting together all aspects of the album except music.” Carter has been working on the project for over a year, even utilizing some of his connections in the a capella community. The recording took place at Sled Dog Studios in Rochester, New York, a house with a basement studio connected. According to Francis, Sled Dog is known for their work with collegiate and other professional a capella groups. Carter also pointed out is that recording a capella music is vastly different from other recording types of music. As Carter pointed out, “it requires a lot of takes from a lot of people.” Despite this, Shades of Gold was able to accomplish the ambitious achievement of recording all five songs in one weekend. Even though the group may have been low on sleep, they are now high on anticipation and excitement. “The whole experience was truly amazing and I cannot wait to hear the finished product,” said Carter. Francis is enthusiastic partially because the group was not just recording songs people have already heard.